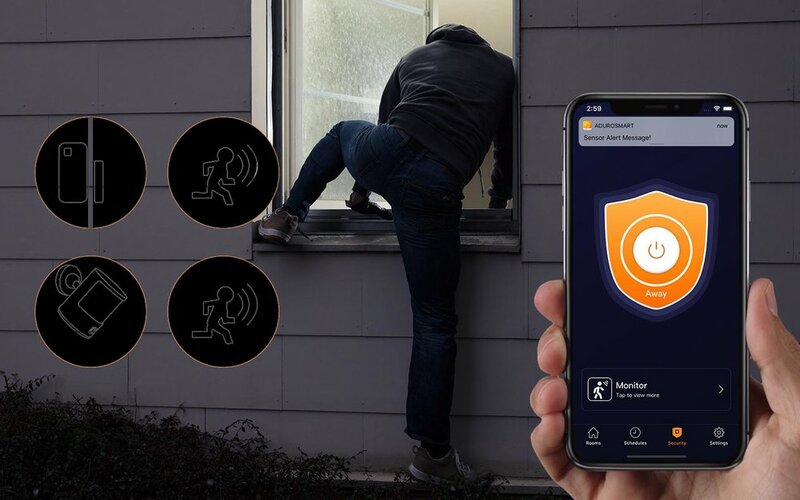 The ERIA Door Window Sensor gives you security while you are away and sends you instant smartphone notifications whenever a door or window opens or closes. Easily connects with the AduroSmart ERIA Hub and can be used with the AduroSmart ERIA Motion Sensor for a total home monitoring system. Smart technology switches your lights on and off when sensor is opened or closed. View the battery status on your smartphone/tablet. Installation free, no screws required.